Ford/V Man Model search winner for Fall 2008. 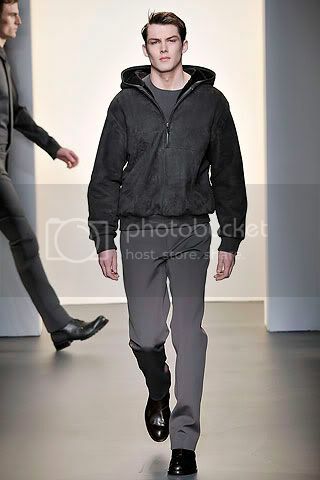 Exclusive for the Calvin Klein NY show in Feb 2009. CJ/Ford Models. 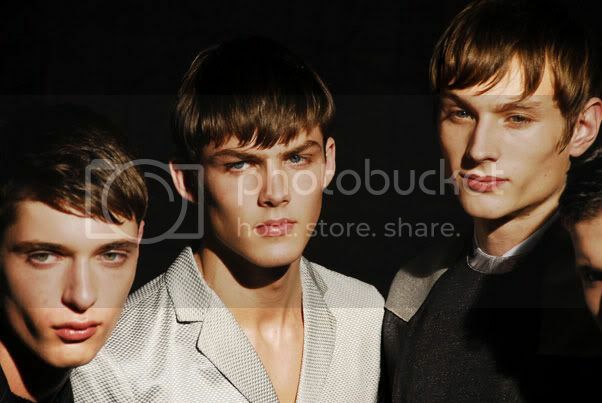 The Ford/Vman winner not only was exclusive for Calvin Klein, he opened its first NY show in years. 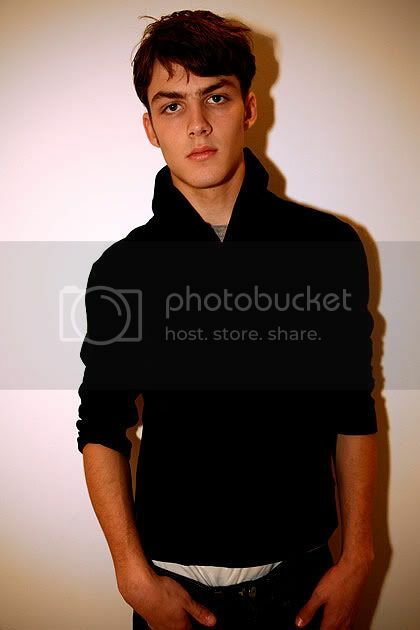 Jake/Ford Models. 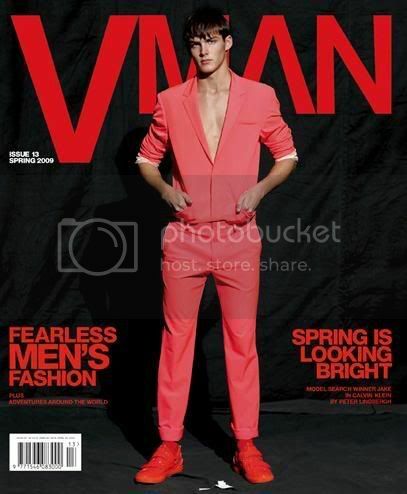 Ford/Vman winner was exclusive for Calvin Klein and is the current cover for Vman. Jake Madden (below right) was born and raised in Cincinnati, Ohio. He is finishing high school, enjoys playing basketball, working out, hanging with his friends and family, making people laugh, popcorn, and terrorizing his brother Jackson. 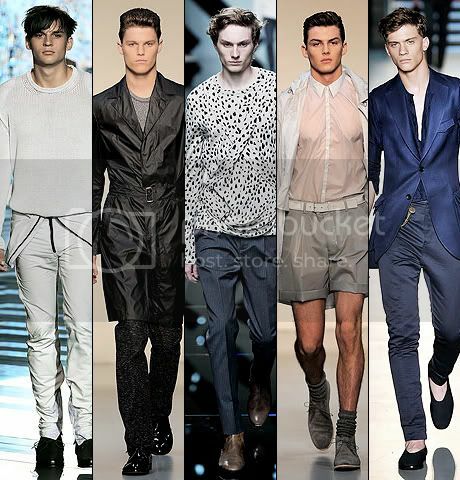 The past winners of the VMAN Model Search were certainly a presence on the runways of Milan and Paris – further proving that our contest is different from the others in that our models actually have careers afterwards! And we couldn’t be prouder. 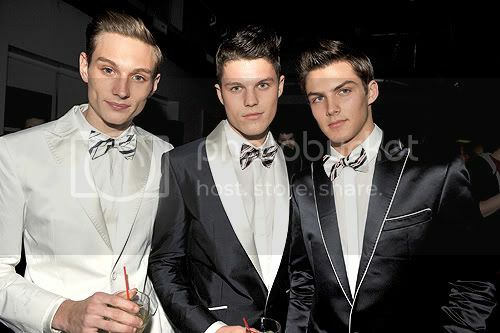 Jake and CJ were booked exclusively to walk in the Calvin Klein show. Last year’s runner-up, AJ, bagged Bottega Veneta, Calvin Klein, Cavalli, Neil Barret, Z Zegna, Dolce and Gabbana, and YSL. 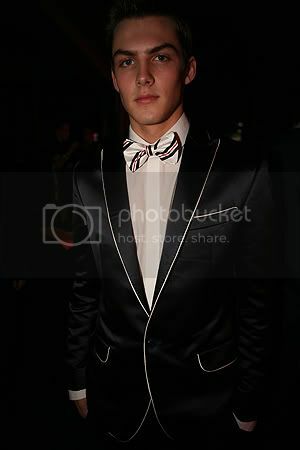 Last year’s finalist, Aiden, strutted at Burberry Prorsum, Hermes, and YSL. 2008’s winner, Petey, did Cavalli, YSL and Calvin Klein Jeans. 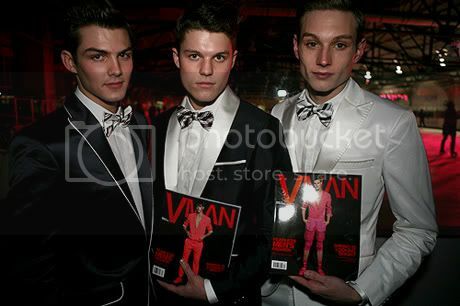 VMan is one of the select few men’s magazines who really gets it when it comes to male models. Their selection is consistently impeccable, utilizing the talents of established stars as well as the freshest faces so its no surprise that their F/W issue features a portfolio of the current crop of standouts. Chad Pitman shoots the most valuable players including the ‘All Stars’ - the true male supermodels, the contenders - boys with incredible bookings poised to take over and of course the Rookies - VMan’s own model search winners. True to form Petey Wright, CJ Hancock and Jake Madden all look stellar in Raf Simons’ refined suits.